Following 2012's sensational first edition, Africa Utopia is back in 2014 to look at what can be learnt and celebrated from Africa and the African Diaspora. Taking place from September 11 – 14, the weekend long festival looks at how African art and ideas can change the world for the better and how Africa can lead the way in thinking about culture, community, technology, fashion, sustainability and ethical wealth creation. A one off gig from Mulatu Astake – the father of Ethio-jazz - at the Royal Festival Hall. World premiere of dance solo work by Qudus Onikeku, with spoken word by Zena Edwards - My Exile is in My Head. An insight into North Africa break dancing culture – banned during the Ben Ali regime in Tunisia – from Say it through Breakdance, a project artistically driven by Hakeem Onibudo of Impact Dance. Talks including those from Edna Adan Ismail, former Somaliland Foreign Minister who set up the first maternity and teaching hospital in Somaliland, Dr. Ola Orekunrin who founded the first ever Nigerian Flying Doctors after a personal tragedy inspired her, Mariemme Janne, technologist and founder of Africa Gathering, and Nimco Ali, anti-FGM campaigner. Multi-award winning USA based comedian Gina Yashere returns to her hometown with her new show. A fashion show of designers who originate or are inspired by the rich cultural heritage of Africa presented in collaboration with Creative Director Ola Shobowale. Africa 39 – of Hay Festival - will relocate to Southbank Centre for a special one off event and celebrates 39 of the best African south of the Sahara writers under the age of 40. New work by contemporary artists and designers will be presented across the site, including video, wall works, photography, performance art, and design collaborations including life size craft paper figures by Mary Evans and textile and sound installation by Yemi Awosile. The L’Orchestre Symphonique Kimbanguiste –an orchestra and choir from the Demographic Republic of Congo – visit London for the first time. Based in Kinshasa, the capital of the Democratic Republic of the Congo, the group is Central Africa’s only symphony orchestra. 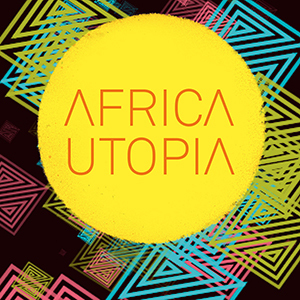 Info: Africa Utopia 2014 takes place at the Southbank Centre from 11-14 September 2014. For tickets visit southbankcentre.co.uk or call 0844 847 9910.